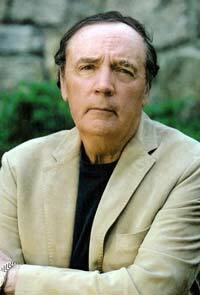 James Patterson is an author who was born on March 22, 1947 in Newburgh, New York. He earned a bachelor’s degree in English from Manhattan College and then went on to earn a master’s in English while attending the University Of Vanderbilt. Currently, Patterson lives with his wife and their one son in Florida. The books that Patterson writes usually fall into the romance, young-adult fiction, and thriller genre. His first novel was entitled The Thomas Berryman Number, which was published in 1976. Since then, he has published more than 90 novels. Some of the novels that he has written in recent years include Witch and Wizard, which was published in 2009. Patterson also published 12th of Never in 2013, along with Alex Cross, Run, which was also published in 2013. There are more than 10 James Patterson books either published in 2013 or scheduled to be published. Some of his older books include his 1997 book titled Cat and Mouse, When the Wind Blows, which was published in 1998, and his 2003 book titled The Lake House. Many of Patterson’s books have been turned into movies, both made-for-TV and for the big screen. Some of the movies that have been based on Patterson’s books went on to become huge successes. One of the more successful books that was turned into a movie was Along Came A Spider, which was released in 2001. His book Maximum Ride has been adapted for the screen, but an official release date has yet to be announced. Throughout his career, Patterson has accomplished many things. He has held many number one spots on the New York Times best selling lists. In fact, he has held the top spot 19 times in a row. However, one of his most impressive achievements is the fact that has sold more than 200 million books worldwide, which is something that not even some of the best authors can say. Also, one in every 17 hardcover novels sold in America carries his name. Patterson enjoys working with others, and he is known for working with numerous co-authors. Some of these co-authors include Andrew Gross, Peter De Jong and Mark Sullivan too name just a few. He has worked with many other authors, and it is said that he enjoys working with other authors because it helps him be more creative in his work. People who are interested in buying novels that have been written by Patterson has numerous options, which include buying from an online book retailer, mail order or by going to their nearest bookstore.